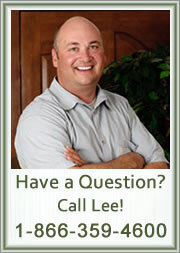 Lee has been behind the vision, energy and success of Turnabout/Stillwater Academy for 25 years. Lee has been working with adolescents and their families for 30 years and his ability to get the best out of the students, staff, and families he works with is unparalleled. When he is not at work he can usually be found supporting his own 7 kids in their passions. Three of his children excel in musical theater and the other four are rodeo cowgirls and cowboys. He is an avid horse trainer, team roper and bull dogging hazer. Lee and his wife Jamie just celebrated their 30th anniversary. They love spending time together and with their 6 grandchildren on the farm. 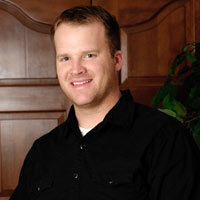 Scott has been working with adolescents and their families for over fourteen years. His expertise includes designing and developing and implementing customized training programs. 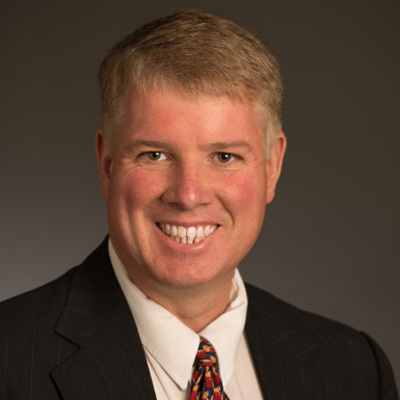 Scott has facilitated numerous corporate and educational training programs for clients such as BMW, Kodak, Lanier Worldwide and several high school and university groups. 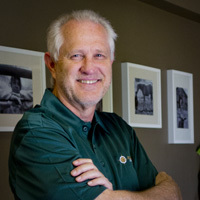 He was the creator and Director of Project IMPACT, a community-based drug and alcohol treatment program for adjudicated youth in Georgia. Scott has a passion for working with adolescents and their families and loves to be involved in the miracles that happen at Stillwater Academy every day. When not at work, Scott is an avid cyclist and occasional runner and enjoys spending as much time as possible with his beautiful wife and three children. 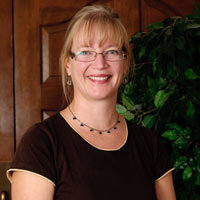 Tanya has been involved with Turnabout/Stillwater Academy for 12 years. She loves the challenge of working with the students and their families each day. Tanya and her husband are real adventures at heart and love exploring rivers throughout the U.S. and Canada on their boat. She is also an avid swimmer and loves to hike, read and paint. Charlie has been involved with helping teenagers and their families for over 10 years in the community, church service and educational organizations. While working as a Foreign Service representative in Canada, Charlie found his passion for assisting others change. Charlie has a wealth of experience in working with adolescents specifically with attachment, trauma, addiction and oppositional behavior. Charlie feels the experience at Turnabout is unmatchable. He feels this treatment program avoids individual isolation throughout the therapy process offering necessary family involvement that provides a much higher success rate. In addition Charlie loves the horse ranch as an exciting teaching tool offering therapy to youth because of the mirroring effect between adolescent and animal, accelerating the treatment progress. Charlie enjoys sports and the outdoors with his family. After courting his sweetheart Heather for 5 years they were married and are currently the proud parents of two beautiful daughters. Growing up I never wanted to become a teacher, a learner or a leader. But after a few well placed nudges from a friend and mentor, a summer volunteering with students with disabilities, and I was hooked. As an educator I firmly believe that we are all teachers and learners simultaneously and that everyone can participate in this process. I love that teaching is not a static art; it is an ever-changing process. It is because it is not static, because I have to constantly learn that I will always be an educator. A graduate of the University of Utah, I hold a Bachelors of Science in education with an endorsement in Special Education and a Masters of Education with an endorsement in administration. My academic and career interests center on my belief and experience that every child can succeed in school. However, significant economic, social, emotional, behavioral, and systemic barriers make success more difficult for many students, and are not adequately addressed in the present public school environment. Throughout my career, I have promoted an inclusion model, where students with disabilities are given the opportunity to be educated with their peers. Academically I would like to continue exploring ways to promote and support every student. I believe this can be accomplished by being a facilitator, mentor and leader in both the community, and school environment. I have worked as a Special Educator, instructor, and teacher in various positions for close to fifteen years. I have worked in both Murray and Jordan School Districts. I worked as an elementary para-educator for both districts and as a full-time teacher at Riverview Jr. High, in Murray. In April of 2010, I took on an additional part-time teaching role at Stillwater Academy. Working at Stillwater has allowed me to expand my understanding of behavior, therapy and has given me the opportunity to serve as a principal and leader. 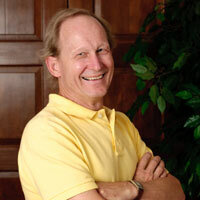 Dr. Randall Oster has done psychological testing for Stillwater Academy for over 19 years. An expert like Dr. Oster is perfect for the extensive psychological testing we require upon admissions for all of our students. He comes with over 30 years of providing services to youths and their families with a specialization in psychological assessments. His experience includes employment with the local Community Mental Health Center. He also served as Director of Psychological Services at a private psychiatric hospital as well as providing adolescent psychological evaluations for the Juvenile Court and Juvenile Justice Services. Dr. Oster is happily married with three adult sons. He enjoys spending time with his wife and family, fun vacations, and jogging to keep up fitness and aid in my mental health. Dr. Oster says this about working at Stillwater Academy: "Each client presents an intriguing life story which aids in my understanding of not only the client and their family but life as well. My coworkers at Stillwater are constantly stimulating and encouraging me to further explore and develop my insights into people. Working at Stillwater makes a difference." Dr. Laura Maw is an extremely talented Medications specialist. She got her Nurse practitioner doctorate at the University of Utah, One of the most respected medical universities in the country. She runs her own practice and we are very pleased that she is a great asset to our Stillwater Team. She specializes in mental health medications, nutrition, and whole health. She is a perfect fit for the students at Stillwater. She says this about working at Stillwater Academy: "Working at Stillwater allows me to use my education and life experiences with my own children with challenges to help other youth and their family." She is married with 6 children. 3 of her children were adopted and have various special needs. She loves music, especially singing and playing the piano. She has sung in various choirs over the years. She also loves skiing, riding bike and travelling with her husband. 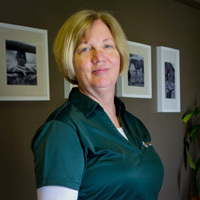 Bergen attended the University of Utah and obtained her degree, national certification and state license as a Recreational Therapist. Bergen has experience working with a wide range of physical, mental, emotional, and behavioral diagnoses. She spent her childhood outdoors competing on horses, running cross country, hiking, and traveling around the globe. The impact recreation made on her life drove her to pursue a career in Recreational Therapy. 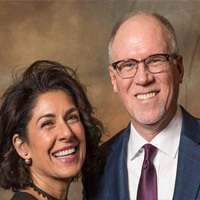 "My focus is utilizing recreational and experiential settings to help teens build meaningful life connections, heighten personal confidence in abilities, strengthen independent skills, and help improve overall quality of life." Bergen has over 13 years' experience training, competing, and working with horses. She holds additional certifications within the Professional Association of Therapeutic Horsemanship (PATH), Equine Assisted Growth and Learning Association (EAGALA) and Parelli Natural Horsemanship. When not at work, Bergen is a competitive barrel racer, loves riding on back of her husband's motorcycle and hiking Utah's beautiful peaks. 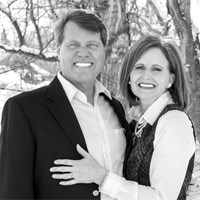 Jamie has been involved with Turnabout/Stillwater as Lees wife and best friend for almost 30 years. 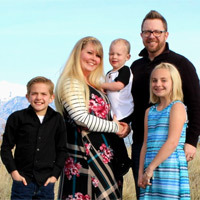 She has helped where needed from various areas like marketing, to working with students at the ranch,but mostly has supported Lee by staying home raising their 7 children. In recent years she has had the opportunity to join the office staff as manager and work in admissions and she loves it. She loves getting to know the kids and watching the miraculous transformation that happens here at Stillwater. Mostly she is inspired by the Stillwater parents who sacrifice so much to give their students The gift of Stillwater. ​She is amazed at how the parents show great love and patience with their kids and examine and work on their own lives in an effort to help their students be successful. Her favorite thing to do is spend time with Lee on road trips, grocery shopping or cooking together. "I love talking to people about Stillwater because it is my passion. I believe that families are the greatest gift we are given here on earth. I love doing my part to strengthen and heal them. I love working with young people. Lee has taught me to see the good in all our students and help them recognize their own strengths." Lisa works as our Office Manager by day and Housing Parent by night. Originally from Southern California, she moved to Utah at the age of 19 and loves it here. It has been a life-long dream of hers to work with struggling teens and help them overcome their struggles. She loves helping teens recognize their worth and becoming the great kids that they can be. Lisa has worked in several fields including security, accounting, collections and customer service but this is by far, her favorite. She is happy that she is right where she needs and wants to be. 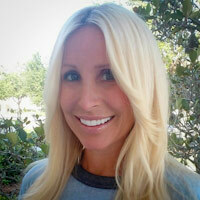 Lisa has a degree in Healthcare Administration from University of Phoenix. She wants to eventually pursue a degree in Psychology. She is a care-taker for her grandparents, whom she credits with helping her overcome her own struggles as a teenager. In her free time, she enjoys spending time with her husband, teenage kids, grandkids and her dogs. 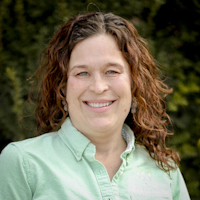 At Stillwater Academy Carol is able to merge her love of accounting with her love for kids. Her greatest reward from working at Stillwater comes from seeing the changes in the students as they advance through the program. Carol brings over 30 years of experience in accounting and organizational development in the for-profit and nonprofit sectors. 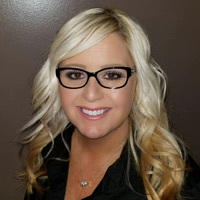 She earned her BBA in Accounting at Boise State University and has worked in public, corporate and small business accounting. She started her first nonprofit in Idaho in 1993 and has been fascinated with how nonprofits work ever since. Over the years she has held various leadership roles in the nonprofit sector, serving on start-up and well established boards, managing the day-to-day operations as executive director, and working as a consultant. In her time off she loves creating and selling her handcrafted Alta Moon Jewelry, curling up with a good book, doing Sudoku's and beating her husband of 33 years in a game of Yahtzee. 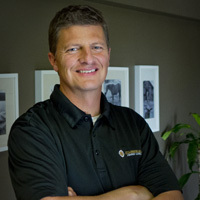 Codee has been involved with Stillwater Academy for over 20 years. She started out as a receptionist as a student in college. She's worked in various positions and currently volunteers as the President of the Board of Directors of Parents Helping Parents, the non-profit segment of our organization. She's worked as administrative assistant and currently does Receivables and is our Transportation Coordinator. Codee is a hard worker. She lives on the farm with her 4 children and feed's the horses in the evenings. She loves biking and yoga and all things fitness and nutrition. She also loves spending time with her kids and going to their various sporting events. Codee loves working at Stillwater and watching the transformation of the Student's and their families. She laugh's easily and has a fun loving spirit. She loves getting to know the student's as she takes them on their various appointments. Jennifer grew up in a family directly involved in providing therapy to at-risk youth. Over the years she has developed a genuine passion for helping both teenagers and their parents. For more than 10 years Jennifer has been involved with helping families overcome the financial hurdles to pay for private care. With a background in banking and finance, Jennifer owned and operated a successful mortgage brokerage business in Florida for 13 years before transitioning into assisting families secure funding for at-risk youth. After working within a top therapeutic residential program for nearly a decade as Admissions Director, she is uniquely qualified to help parents understand and deal with a variety of financial challenges. Jennifer is happily married and lives with her husband and son in Florida where she enjoys the beach, rollerblading and her two Jack Russell dogs. She loves to travel and has been all over the US. She and her husband also run a transport business. They have an amazing spirit that really resonates with the teens they transport. She says her goal is to help families through the difficult transition of entering a program and help with the teenagers when intervention is necessary but too difficult for the parents to face alone. 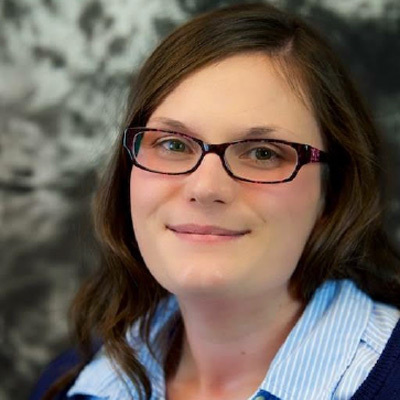 Tatiana works closely with Dr. Maw as our medications manager and on-site nurse. She also knows the ins and outs of the office. She has always had an interest in health and science which drove her to obtain her registered nursing license. 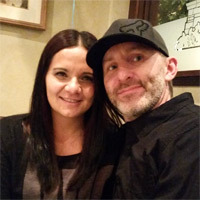 Tatiana also works with her high school sweetheart and husband as one of our housing parents. She is loving and patient with the students. Tatiana is always looking for ways to improve the program whether it be sleep, medication, systems, or food related. Tatiana says that her favorite part of working at Stillwater is seeing where the kids are when they first come in and then watching them grow. She loves spending time with her little family, with her husband Justin and little 9 month old son. She enjoys running, yoga, and learning about nutrition. She loves being outside hiking , camping, or anywhere where she can look down on the beautiful valley. Sadie developed a passion for psychology and working with teenagers at a young age. She started working for Stillwater 10 years ago in pursuit of her passion. Her talent and insight seem to know no bounds. She started working as support staff and later designed training protocol for that department. She loved working with the students so much she went to school part time to earn a degree in psychology. She spent some time in the school assisting the English teacher and helping the students academically. She designed and taught a fitness and self-esteem class for the girls. Finally she moved to office staff and learned how much she loved talking with people about the program and giving heavy hearted parents hope that Stillwater can help their teen. 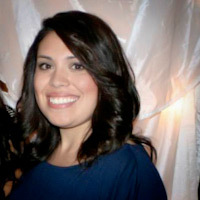 She has remained a member of the office staff as an Admissions Specialist. "Because I have had the privilege of working so closely with the students here at Stillwater I have seen the change as these students become happy independent peer leaders on their way to a successful life. I love answering the phone or responding to an email of a parent searching for help and hope, and being able to tell them they have called the right place!" When she's not working at Stillwater she enjoys, baking fancy desserts, health and fitness, and having fun with her husband, kids, and two yellow labs Abby and Alice. "It is rewarding to see adolescents learn and develop new tools that enable them to overcome their individual challenges and develop empathy, accountability, healthy connections, and boundaries." 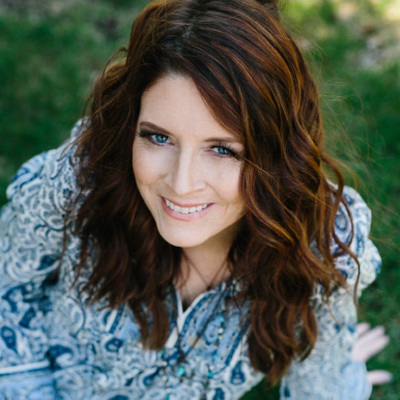 Wendy has a passion for working with adolescence using evidence based therapies to help them maximize their talents and build positive coping skills. 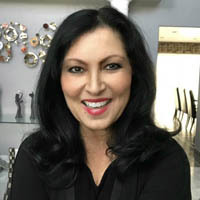 She provides individual and group therapy processing and psychoeducation to adolescents struggling with substance use disorders and mental health problems associated with depression, trauma, attachment, bi-polar and anxiety disorders, as well problems in family relationships with parenting, family balance, divorce, as well as grief and loss. 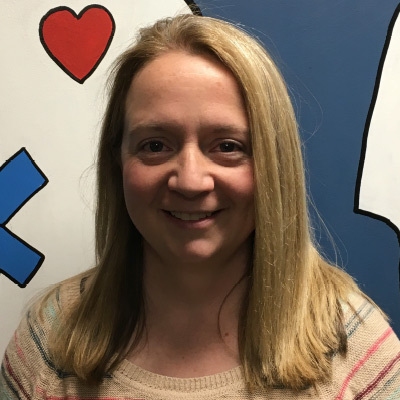 In addition to managing her full time position as an adolescent and family therapist, Wendy has volunteered time working as a Mentor and Intensive Outpatient group facilitator. She has been involved in conducting workshops to community and religious based groups on such topics as parenting and various aspects of teen and adult mental health. Her greatest passion is her family which includes her husband, children, and grandchildren, traveling,reading, laughing, and creating memories. Nicholas has worked with students at Stillwater for three years as a Primary Counselor then went on to become one of our amazing Therapists. Prior to joining Stillwater Nicholas interned as a therapist intern at Northwest Children's Home in Lewiston ID. Nicholas finished his Masters in 2013 at Washington State University in Pullman WA. There he helped with an after school equine program where he facilitated teaching children and youth skills to help them build healthy relationships. Nicholas has volunteered with the Boy Scouts of America for the last 7 years. He loves to spend time with his wife and three children when he is away from work. They love the outdoors and enjoy camping, fishing, and hiking. He and his wife are also members of our housing staff. Jill joined our Stillwater team over 7 years ago as an intern. This was her introduction to our program and not long after she was hired as a primary counselor. She continued her schooling and after she obtained her degree she became one of our amazing therapists. Jill has a passion for her work. Besides the cognitive therapy she does she has a certification in EMDR an imagery therapy especially helpful for PTSD and Early childhood trauma. Jill is a great asset to our team as she is kind and caring and laughs easily. Jill has lived in various parts of the world and comes to us with vast experience working with youth. She has two daughters and was recently married to a man with 3 children. They love hiking and doing anything together as a family. Jill and her husband are also avid golfers. Jill says the best part about working at Stillwater is the family atmosphere. "The staff at Stillwater are my second family, we've been through a lot together over the years and watched some amazing miracles in the lives of the families we serve." Paola was raised in San Diego, California. SHE LOVES THE BEACH! – She grew up as a middle child with two step sisters and two sisters. She remembers in her growing up years she struggled building relationships with her parents. In this way she is able to relate to the students of Stillwater on a deep level. At 18, she found her hope in God and guidance through her pastor and church. Her family has healed a lot through counseling and learning how to be vulnerable with each other as well as listening and respecting each other's boundaries. Paola makes her family proud by being the ﬁrst one in her family to graduate from high school and go to college. 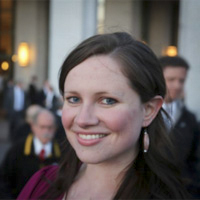 Now at 26 years old, she studies at the University of Utah College of Social Work. Upon completion she will receive her degree in licensed clinical social work. Paola brings with her years of experience working with at risk youth. She worked with teens at a Junior High School for 2 years. (Students in IEP- Special Education) She totally enjoyed working with kids in Special Education. She also served in multiple orphanages in Baja California, Mexico. There she created family-like activities for the kids such as visiting restaurants, going to the beach, having campﬁres etc. She has always had a love for youth, she knows what it takes to overcome challenges and rise to our full potential. Paola has a knack for focusing on the student's strengths and gifts in order to encourage progress and success. She has the talent of being a great listener. Paola says this about working at Stillwater, " I love our kids at TA and consider them and the staff, my family. I am honored to work at Stillwater as a Primary Counselor." When Paola is not at Stillwater studying hard as a student, she loves to drive down to Southern Utah and enjoy our beautiful National Parks, like Zions and Bryce Canyon. She enjoys doing road trips and visiting new places! Rick has a passion for mentoring adolescence with diagnosed disorders. He facilitates clients to accomplish therapeutic assignments and facilitates group therapy processing and psychoeducation to adolescents struggling with substance use disorders. He also assists Ranch Director in coordinating group activities for a weekly ranch day for the students he works with. He has a natural talent with helping student's work through their problems and recognize their roll in governing their lives. 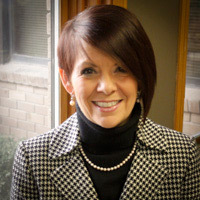 Client also works to assist in offering community resources for clients in need and has a vast history of volunteer and professional work through organizations such as Utah Foster Care, National Alliance of Mental Illness, Urban Indian Center, and Co-Director and board member of K.O.P.P.I.R. (Kids of Parents and People in Recovery). 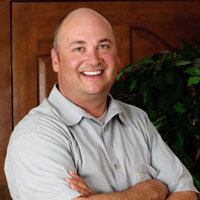 In addition to working at Turnabout, Rick is a licensed general contractor in the state of Utah and California. He likes working with his hands creating and building and is able to bring this passion and skill to Turnabout as he teaches the youth the value of hard work. His greatest passion is his family which includes his wife, children, and grandchildren. He enjoys traveling, weekend get-aways, and the Hallmark channel. "When I meet these kids where they are at and work with them as they work through their challenges, it is extremely rewarding and it never gets old to see the light shine in their eyes." 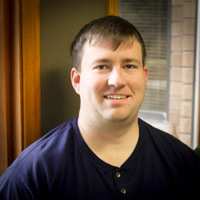 Marc got his start at Stillwater several years ago as a part time support staff. Marc has a calm peaceful way about him which makes him valuable to our Stillwater team. He relates well to the students and is a good example of hard work and perseverance. About a year ago Marc became one of our primary counselors. He says this about the students at Stillwater, " I love the strength that the group can have. At Stillwater we strive for a strong peer culture. The program gives the kids a chance to really lead what they learn." Marc came to us with experience working at another treatment center for teens. He is currently working on his bachelors in Psychology at the Utah Valley University. When he's not at Stillwater Marc can be found in the mountains hiking or at the gym. He has thousands of followers on his Instagram where he posts hundreds of beautiful pictures of his adventures out enjoying the wonders of nature. Marc is an avid health and fitness guru. He brings that knowledge to our team to help enhance the health and wellbeing of our students. Marc was born in Long Beach, California and has two brothers and one sister. Kathy earned her first degree in accounting and worked several years preparing taxes. When her four children were old enough she decided to go back to school to study mathematics. A subject she has always wanted to study but was never brave enough to try. 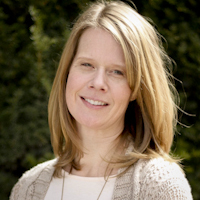 Kathy now has a degree in Mathematics Education that she obtained from the University of Utah in 2010. Kathy taught at a struggling youth facility and then in a public school. She was so happy when a position became available at Stillwater Academy; she knew from experience that this is where she wanted to be. Her character, talents and personality are a good match to the Stillwater students. Kathy likes hiking, walking and reading historical fiction and true stories. She loves the ocean, seashells and penguins. She has a seashell collection that she acquired from combing beaches. She loves spending time with her four grandchildren, but is sad because they all live out of state. Rodayne Esmay was born in Arizona and grew up primarily in New Mexico and Texas. A military experience took him to Georgia and North Carolina, but he's lived most of his adult life in Colorado and in Utah. "The Army trained me how to do things that some would consider to be on the edge: jumping out of airplanes and rappelling from cliffs and out of helicopters. I actually think all those physical demands taught me how to concentrate and prepared me for a career in a completely different direction - computer technology." 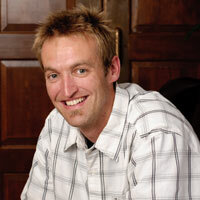 As an undergraduate student, Rodayne attended the University of Northern Colorado, and Brigham Young University, where he attained a Bachelor of Arts degree. He completed a Master of Fine Arts with an emphasis in Digital Imaging at Syracuse University, in upstate New York. 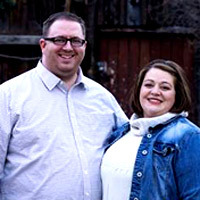 After nearly twenty years in industry, Rodayne stepped into education where he has garnered several awards including a Teaching Excellence Award from the University of Texas, two Service Learning Awards from the Utah Campus Compact and Utah's Multimedia Teacher of the Year. "Teaching at Stillwater Academy is very unique and gratifying. The kids get under your skin, and I for one, really look forward to the opportunity I have to work with them." Isaac grew up just outside of Salt Lake City, Utah. He has a BA in English literature from the University of Utah and a Masters of Journalism from Temple University. He is fluent in Spanish, English and Portuguese. Before embarking on a career in journalism, Isaac taught High School English in the Kensington neighborhood of Philadelphia. 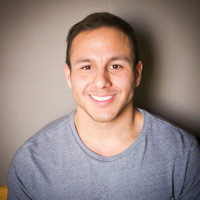 Isaac is the founder of The SLC Blog a urban development blog covering the Greater Salt Lake Area. Lisa has lived in Utah for 21 years but there is a very special place in her heart for her hometown of Anchorage, Alaska. In Alaska she grew to love the outdoors, especially hiking and fishing. 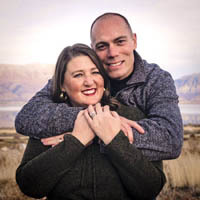 She is a graduate of Brigham Young University and has a Bachelor's degree in Biology Composite Teaching and a Master's degree in Biological Science Education. For 13 years she was the Program Manager and Assistant Director of the Central Utah Science and Engineering Fair at Brigham Young University. Every year she had the opportunity to travel with the winning high school students in Utah to the Intel International Science and Engineering Fair where many of her students won awards and international recognition. 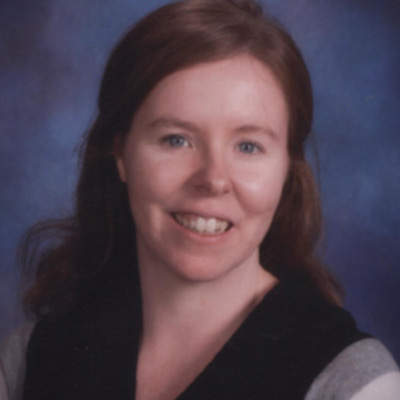 She has mentored and assisted hundreds of students in grades 5-12 with their science projects and research experiments and loves helping and teaching young scientists. In her spare time, Lisa enjoys reading, gardening, camping, hiking, running, fishing, sewing and spending time with her husband and two kids. She is passionate about learning and loves that as a teacher she has the excuse to be a continual student. She is excited to teach at Stillwater Academy and through her classes she hopes to help each student better understand the world around them and to develop a love of science and learning. There are not many things in my life that are as exhilarating as teaching. It is second only to being married and rearing children. Of course, I am awed by the majesties of nature and I love hiking, camping, biking and being outdoors. I also love the competition of playing basketball, football, racquetball and any other sport I can get into. And the challenges of life, financial, emotional, mental, social, etc., all bring out a wide array of daily emotions. However, when I recently decided to switch from being a full-time educator, where I taught English and Spanish for nineteen years, to working with a non-profit organization, even though I was still working in a school, it was the classroom that I missed most. Although teaching certainly can feel like riding a roller coaster, dealing with student ups and down, attitudes, inconsistent behaviors, distractions, hormones and classroom dynamics, it is undeniably exciting to get to know young people and to see their natural enthusiasm, creativity, optimism and resilience. As a teacher, it feels wonderful when you see their progress and especially when you realize that you are probably learning more from them than they are from you. That is why I decided to work as a Spanish teacher at Stillwater Academy. As a supplement to my full-time, position, I have enjoyed getting back into the classroom. When I was in college, planning to go to law school, I realized that via multiple jobs with both lawyers as well as with students, that my passion was education. I received my B.A. and teaching endorsement in English and Spanish teaching from the University of Utah and Brigham Young University and later received a M.A. from Western Governor's University in Learning and Technology. My experiences abroad, as a missionary in Chile, a student in Mexico and as a visitor to multiple other countries, have helped me gain an increased appreciation for all peoples and cultures. I love the Spanish language as well as learning about, participating in and sharing the Hispanic culture. I believe that all students can successfully learn a second language. My goal is to make the classroom as active as possible, with songs, games, cultural activities and interactive story-telling. This is a great time for students to learn because their minds are so sharp. I hope that students are not only successful at learning Spanish but that they also enjoy the journey. Katherine Bright was raised on the east coast in the mountains of Virginia. She came to Utah to attend Brigham Young University and graduated with a degree in secondary education. 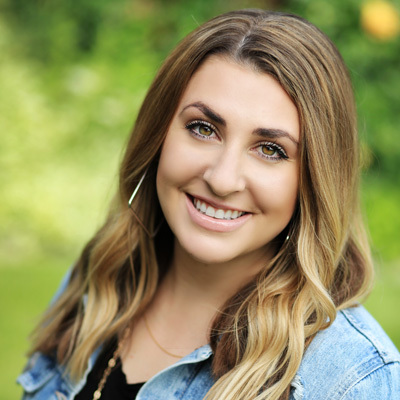 Prior to working at Stillwater, she taught history and English at two different residential treatment centers and also has taught ACT Preparation classes through BYU. She recently served as a director for Sylvan Learning Center. Katherine likes to exercise, hike, read non-fiction, and do creative writing. She has published two books of poetry and also has an affinity for personal finance. Her motto is "Eager To Learn." Katherine is a newlywed and is trying to get used to her new last name. She and her husband Frank enjoy target practice, running, and cooking together. I am a Utah native, but growing up my family moved and lived across the United States. Since my early childhood I have always been interested in learning about how the human body works. My Mom is a registered nurse and I have many extended family members that work in healthcare positions. Whenever someone asked me what I wanted to do when I grew up I knew I wanted to have a career involved with working with people and helping them. In college I worked as a private tutor for students and started substitute teaching. I found that I loved teaching about health and helping students learn about how to take better care of themselves now. I received a Bachelor's of Science degree in Health Education from Utah Valley University, with an endorsement for Health Science. I have also taught English as a second language in the Ukraine and in China. I have been teaching since I graduated. For over 3 years now I have had the opportunity to teach in public, private and charter schools. I have also had the opportunity be a para-educator for students with special education needs. Some of the things I enjoy doing are cooking, reading, traveling, playing sports, and any activity on the water. I love to swim and am an active scuba diver. I am excited to work more with the faculty and students at Stillwater Academy. I look forward to helping students learn and understand more about themselves and also how miraculous the human body works. Growing up I always wanted to be a teacher. My mother was an elementary school teacher and I decided to follow in her footsteps. I have taught in Chicago, Boston and Salt Lake City. I have experience teaching in public, private and charter schools. I have a B.A in Secondary Education and History and M.Ed. in Curriculum and Instruction; both degrees were earned at Boston College. I have twelve years of teaching and administrative experience. Recently I took some time off to stay home with my two infant children. I am very excited about returning to the classroom to teach History. My hobbies are running, hiking and swimming. I was a competitive swimmer in high school and also ran the Boston Marathon back in college. I have lived in Brazil. My favorite country to visit is Ireland because it is absolutely beautiful and I have immediate family that resides there. My traveling has helped me as an educator to understand the world, and how different societies function. Traveling has also helped enrich my teaching because I can share with my students my firsthand experiences with diverse cultures. I look forward to working with the staff and students at Stillwater Academy. Jill knew she would be an artist the day she was caught decorating the walls of her home with permanent markers at the age of five. She completed a Bachelors of Fine Arts degree with an emphasis in Painting and Drawing and a composite degree in art education at Brigham Young University. 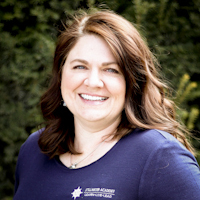 She has taught middle and high school in the Jordan and Canyons school districts. She has given numerous elementary school assemblies about art history where her humor and drama make the arts memorable for students and their teachers. She believes strongly in the healing power of art. She finds helping struggling students find a voice through their art to be the most rewarding part of teaching. Jill is a working studio artist and paints from her chaotic home which she shares with her two teenage sons, a husband and her dog Scout. The only thing she loves more than painting (and her house full of rowdy males) is teaching! She is passionate about sharing her love of art with others and feels that anybody can learn to draw and paint and enjoy the process. Jill's classroom is a safe, relaxed and sometimes goofy place where students feel comfortable expressing themselves through their art while developing confidence in their skills. 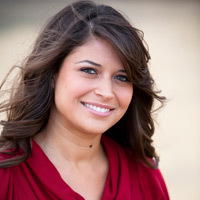 Natalia Davis has been involved with Stillwater Academy since 2011. She was introduced to the program when a family member participated in the program and had healing and great success. Natalia comes with various types of job experience but they all involved working with people. She says, "People are my thing." She and her husband Nate were part of our housing staff for over 5 years. She says that one of her favorite things about housing was witnessing the transformation of the kids. She loves to see them develop new tools, and most importantly learn how to use them. She has wonderful memories of cooking with the Stillwater students. Some other activities she enjoys are back packing and spending time with her husband and her two beautiful little girls. She was born and raised in Argentina but met her husband Nathan here in the states. She enjoys her most recent roll of being the Housing Director. She loves working for Stillwater because she believes in the program. She says she has learned so much and is still growing as a person. 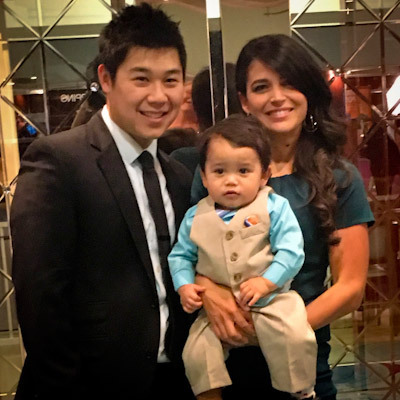 Tatiana and Justin Truong have known each other since high school and married since 2013. Justin is a mechanical engineer and enjoys a vast array of hobbies. Some of his hobbies are his aquarium, falconry, playing video games, and hockey. Tatiana enjoys dancing, working out and learning about nutrition and health. They have a toddler named Calvin who loves Lion King and eating anything crunchy. We love housing to help support the students with a safe and welcoming home to help them through the difficulties of the program. Janie Brown loves youth and believes there is no such thing as a "bad" kid. 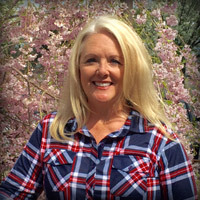 She grew up on a farm in Tempe, Arizona and has worked most of her life with teens through camps, high adventure hiking, canoeing, scuba diving, sailing, church youth organizations and outdoor survival programs. She graduated from Brigham Young University with a degree in Outdoor Education and Elementary Education. 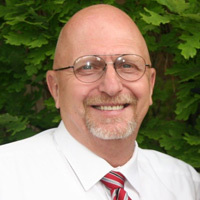 Jerry Brown grew up in Connecticut and after a 2 year mission to Italy, attended and graduated from Brigham Young University in Electrical Engineering. Jerry worked many years with teens in Boy Scouts and also helped establish a summer weekend sailing club. He loves big game fishing, scuba diving, skiing, boating and sailing through the islands. Janie loves being with her kids/grandkids, hiking, being outdoors, learning, jigsaw puzzles, reading and being with Jerry. Janie and Jerry have been married for nearly 40 years; have 8 children (2 sets of twins) and 20 grandkids. Janie loves housing students at Stillwater. It is "the best thing since homemade sliced bread and keeps me young and on my toes!" Janie loves learning from the array of personalities, talents, enthusiasm, knowledge and fun characteristics of the students. Jerry has also enjoyed having students in their home – especially the experiences of walks, going to the park, building snowmen, seeing the lights in Salt Lake City, teaching them how to make homemade pasta, water fights and especially chocolate chip cookies on the weekends. They both feel it an honor to have opportunity to make a difference with Stillwater students. Jerry is retired and cares for his 93 year old father in their home and Janie works at an Assisted Living facility in Sandy, Utah as a Life Enrichment Manager – working with memory care residents – providing activities and experiences to enhance their lives. We are Nathan and Sherri Tait. We have been housing since September 2014. We have 5 children--3 adults and 2 in high school (Simon, 12th grade, and Andrew, 10th grade). Our lifestyle and hobbies revolve around our children's sports, church and school, and enjoying outdoor activities (hiking, fishing, hunting). We enjoy having your children in our home, and are inspired by their hard work and efforts in overcoming life's challenges. Scott and Melayne Taylor have been married 15 years. Scott is originally from California and Melayne is from Idaho. They have been blessed with 5 beautiful children. They love spending time as a family. Some of their favorite things to do are camping, hiking, traveling. They also enjoy just spending time at home together watching movies & playing games. Scott has many talents and hobbies. He majored in Electronic Engineering and graduated from BYU-Idaho. He currently works for IM Flash, working on the robotics side of things there. Scott is a Eagle Scout. He also spent a number of years in Lima, Peru, where he loved learning the language, serving and working with the people there. He loves working with his hands and creating new things. Melayne enjoys being a wife, mother and teacher. She is a graphic designer and does vinyl lettering. Some of her favorite things to do include: taking pictures, creating things on the computer, reading, and organizing. She loves serving the people at church, working with the youth and helping those around her. They are excited to be a part of the Stillwater Housing Team. 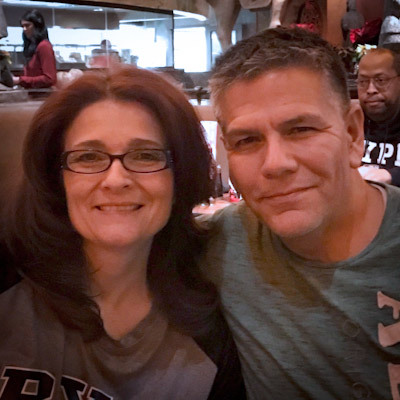 Brent and Melody Thompson have been housing since November 2017. They have a wonderful family of 5 children and 2 grandchildren. Their oldest daughter Brittney and her husband Spencer own a successful Etsy business and currently building their dream home. Chelsea is studying music and theater in Portland Oregon. Their son Tanner is currently serving a mission in the Philippines for the next 2 yrs. Colton and Lizzy are still at home and really enjoy playing board games and watching movies with Stillwater students on the weekends. Brent and Melody have been married 27 years and have lived in Louisiana, Colorado, Idaho, Washington, Oregon and now Utah. They love the outdoors and the beautiful Northwest. Their passion is serving others because they understand that is where true happiness is found. They serve teenagers in their local congregation as teachers and mentors. Melody is actively involved in humanitarian and community service projects. 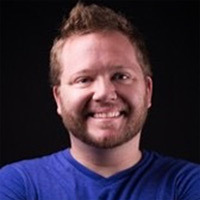 Brent is a Sales Operations Manager at a software start-up, and is always looking for the next Humanitarian project. With their combined personal childhood experiences of torn families, adoption, etc., they "broke the negative cycle" together with the gospel in their lives and have a strong desire to give back. They love housing and mentoring Stillwater students and want each of them to understand and feel just how incredibly special they are in the eyes of a loving Heavenly Father. I have a wonderful husband, Larry, and I'm a mom of 3 adult children and a Nona to 2 grand daughters that I get the privilege of babysitting weekly. I'm super creative, I see beauty in so many things everyday around me. Nature is my thing and so out door activities draw me, like hiking, biking, snowshoeing and skiing. I enjoy oil painting, yoga, water aerobics, healthy cooking and coffee with friends. Besides helping with the incredible students at Stillwater, I also teach art to elementary students and I'm an actor doing commercials both local and national , print work and talk shows along with a very few movie roles along the way. The very most important thing in my life is my relationship with God who loves me unconditionally and is my strength and reason for living! 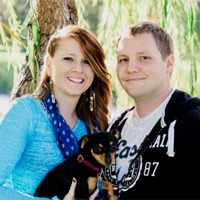 Chris and Annie Baum live in Lehi, Utah -just a few miles away from the TA Ranch! Chris has known Lee Caldwell most of his life and would 'muck stalls' for extra cash at the Ranch during his early teens. Annie began working with at-risk youth in residential treatment centers in 2004 and spent 5 years as a caseworker for teens in foster care, before coming to the Turn About team as a Primary Counselor in 2016. We have three beautiful and talented children- they are our greatest work! Like most parents, we make sacrifices to best meet their needs; When Annie had the chance to stay home and spend more time with our kids, it was a great blessing to our family life. We chose to continue working with TurnAbout as a Housing Parent, to remain involved in modeling family relationships. Our young children enjoy the TA youth, and have built understanding of their own involvement in the treatment process. (Our 5-year old mostly loves to be 'a little brother' and tease those he loves most... just like most "brothers"!) Being able to influence change has touched every member of our family, no matter how young or old. We love building and strengthening relationships with our host kids and their families. Chris and Annie are shameless Dr. Pepper and Diet Coke fans. On hard days, we sit around the table and talk over a bowl of Tillamook chocolate-peanut butter ice-cream! We have two Cocker-Spanial dogs, Lady and Maui, and one fluffy cat named Sariah (or if you're younger than 10 yrs old she's best known as 'kitty'). BBQ/ smokers are very much an interest of ours and we are always excited about trying out a new recipe- everything to traditional grilled meats and vegatables, to sides and desserts. We are team NO BBQ Sauce type of people! We enjoy playing board and card games on the weekends with our hosts and spending time together. When we are not on the housing schedule, we are usually working on a project in our home or Camping! We love to hook-up the camp trailer and GO! Utah has some of the best mountains to explore! On sunny days, we believe in being outdoors, at a park or a splash pad. Some of our life goals include participating in annual humanitarian trips with our children when they are older, owning rental properties and being debt free. Matthew and I have been married for 5 years. We were married in the Draper Temple and have since had 3 beautiful daughters in 3 years. We love the outdoors, reading, playing games, and spending time together as a family. Matthew is a Welder and an amazing Handyman around the house, figuring things out on a whim. He enjoys DIY projects and playing Magic. I am a software product manager at Cricut and love creating new things. I was a gymnast for 13 years, and my passion has carried into everything fitness. We enjoy life and try to look at the positive through all life's trials. 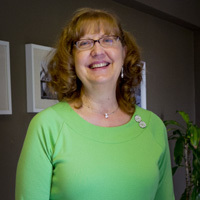 Kathy Jewkes was born and raised in Oregon. Married Scott Jewkes in 1980 in the Salt Lake Temple, bringing her to the great Salt Lake Valley. Employed by L'Oreal USA from 1981 to 2012. Traveled the United States achieving many awards and goals with L'Oreal. Has one daughter and 3 beautiful grandchildren. In 2001 husband Scott Jewkes was diagnosed with ALS and lost his battle in 2006. As a Widow Kathy prides herself as a fix it yourself person and will Google anything from cars to house hold appliances that need repaired. Is a member of The Church of Jesus Christ of Ladder Day Saints and has served in many callings in her Wards. Kathy has lived in Draper Utah for 19 Years. 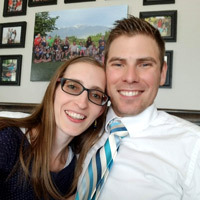 Adam and Marlena Millis met at BYU-Idaho while they were both attending. They were friends for 6 months before they realized they were studying the same major. They have been married for 6 years and have 3 adorable fur babies. Marlena grew up in Idaho and Adam grew up in New Hampshire. After graduating from BYU-Idaho they moved to Utah and are both working in Landscaping. They enjoy having adventures with one another as well as with family. They enjoy camping, hiking and travelling. They both love being outdoors. Since Marlena and Adam haven't been able to have children of their own, they have loved housing and getting to know the kids at Stillwater and having them be part of their family. They love being a part of the Stillwater Housing Team. Karen and Joey were both born and raised in Utah. Joey attended school at Kearns High School and after graduating served a two year mission for his church in Spain. Karen attended school at Cyprus High school and then went on to get an Associates Degree in Science from SLCC. 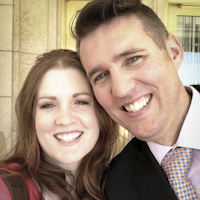 They met in the LDS singles ward. Joey was the handsome "older" man in a suit on the front row and Karen was the weird one with big glasses. But they found they had lots in common like their love of music and sports. After that first kiss they were hooked and fell in love fast. They met in June, engaged in July and married in August. When you know you know. They have now been married going on 8 years and are living happily ever after in Saratoga Springs. They have three wonderful kids with one more expected in September 2019. Joey just started going to school at WGU to better himself and works hard to support his family. Joey has worked for his company going on 16 years and is very dedicated. For fun he loves to play basketball and softball. He won the 3 point shooter challenge in High school and has turned that love of basketball into starting a new business as well. For down time he loves watching BYU or the JAZZ and eating cartons of Ice cream. Karen loves being a stay at home mom. She is excited for the opportunity to be that for more children. For fun Karen likes to play the piano and is hopeful to start teaching students piano soon. Karen also works out her creativity with a camera, as a side business she does photography. For down time she loves a bubble bath and a good book. Together they've played coed softball, racquetball, basketball and are both really competitive. They both sing in the church choir and love to perform. They love to host dinner and game nights with friends or simply go to the movies with the kids. Whatever it is they are doing they just want to be doing it together! Kent and Jana are happy to open their empty nest to TA friends! They have raised 5 children and love that 19 little people call them grandma and poppy. 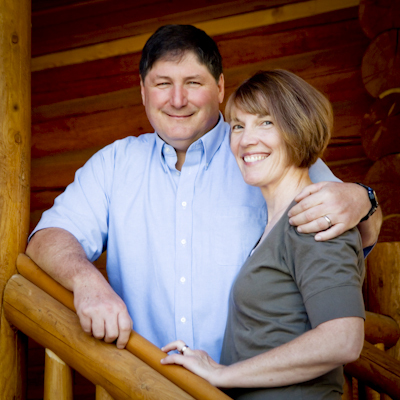 Kent and Jana are both active real estate agents and dabble in personal business ventures as well. Kent loves to golf, play racquetball, and is a Utah Jazz fan. 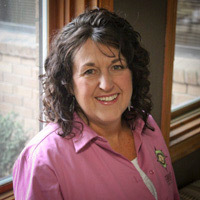 Jana loves to work out; bake for family, friends, and her catering business; and snuggle grandchildren. Read through some or our biographies, and get to know our staff better.